My household loves Matcha Green Tea. My husband especially loves getting a Green Tea Frapp from Starbucks and telling them to add 3-4 extra scoops into his drink. This tastes fantastic, and does not leave your drink feeling powdery or anything. My husband mixed it in a food processor with milk, half n half, and some sugar it came out tasting amazing! 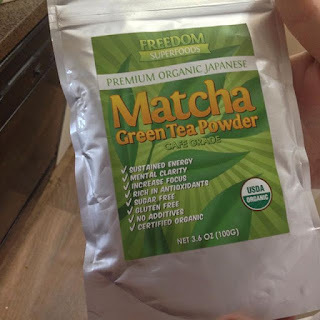 I loved how strong the Matcha tea flavor was even through the sugar and cream, and I know this is a fantastic option for anyone who wants to drink more tea and less non-healthy drinks such as soda. Matcha Green Tea is $24.97 for 100 grams, and it'll last quite a while so make sure to get yours today with free Prime shipping!